Elevators « Troubles Don’t Last, You Do! 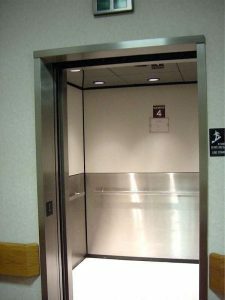 One thing I noticed about elevators are that they only go up or down. There’s no in between or moving from side to side. Life is like an elevator. Some days you are up and ready to conqueror the world, other days you are down in the dumps. Seem like no one can cheer you up. Just know that God is with you. He is there waiting to hear about your exciting adventures you had and He is there holding you when you are cry. God is with you all the time. He is your secret admirer. He empathizes with you and knows your thoughts. He is personally in your life so the next time you are having an off-day, remember to grab a copy of my new book called, Troubles Don’t Last, You Do! It will inspire you to keep pressing on, just like elevators do every day. Well, I give the credit to God. He guides me in my writing. Thank you for stopping by! Awe! You are too sweet! Thank you so much. But I can’t take all the credit, the Holy Spirit is my muse (BIG Smile). out of date rehashed information. Excellent read! Thank you. I just need to take the time to rotate the pics. I shouldn’t be so lazy HA! http://www.kittswanson.blogspot.com and don’t forget your copy of my book. Blessings! Please do. Also, Thank you for stopping by.